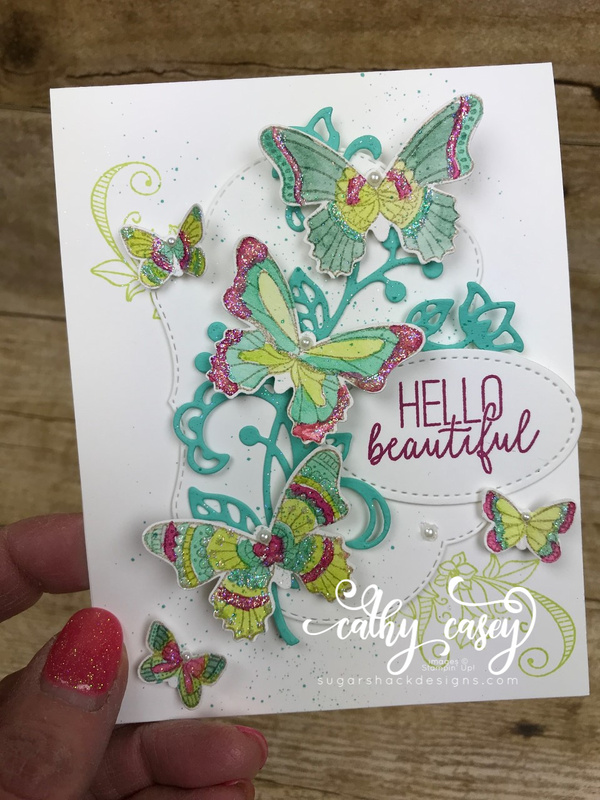 This entry was posted in Stampin' Up and tagged Butterfly Duet Stampin' Up, Butterfly Gala Stampin' Up, Create, DIY, Papercrafting, Papercrafts, Stampin' Up by kate80132. Bookmark the permalink. Fantastic card Cathy! So pretty and so many lovely details. Thanks for sharing. 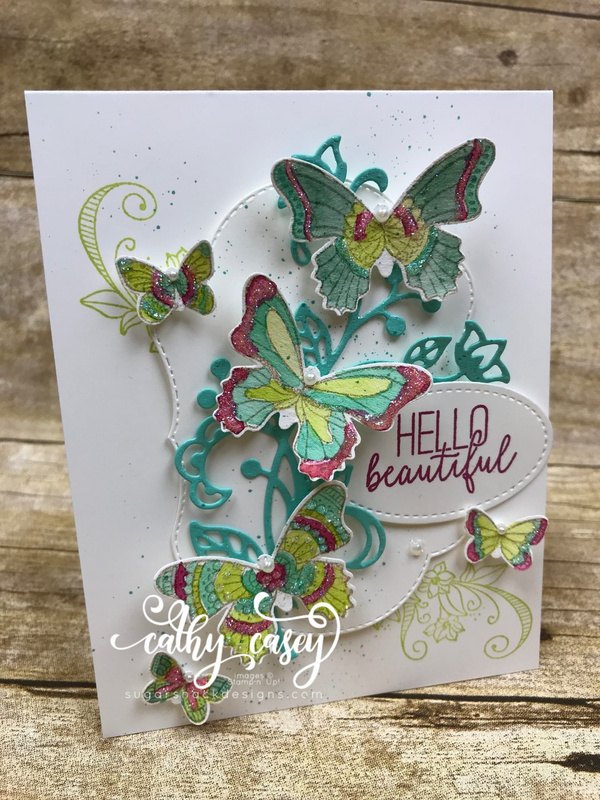 This is beautiful Cathy! I keep telling myself I don’t need this set and you aren’t helping! Love the colors! Butterflies just make me happy. 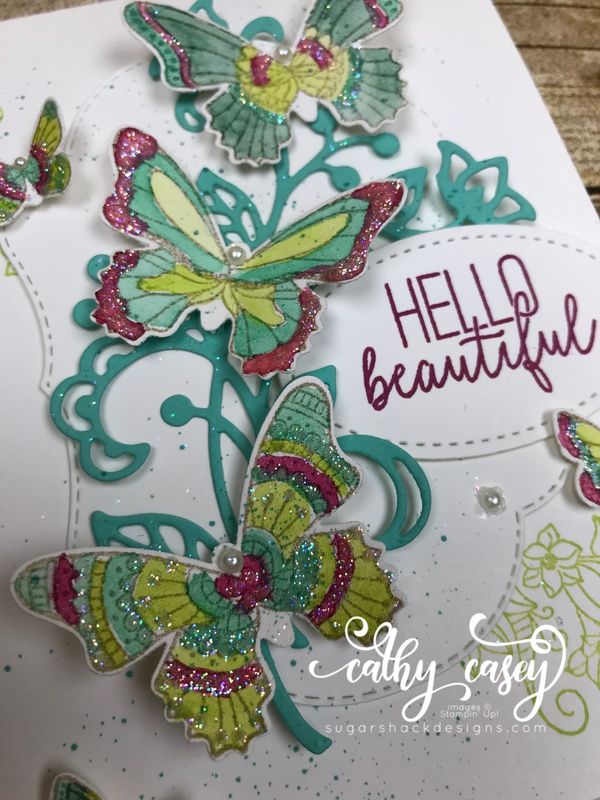 I love the swirls and colors you used with the sparkle.